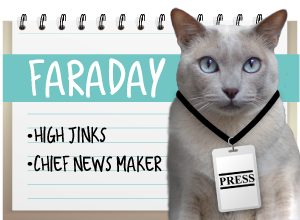 A Tonk's Tail... err, Tale...: Monday Medical: Avocados - poison or pet food additive? Monday Medical: Avocados - poison or pet food additive? Does your pup look forward to Mexican Fiesta night at your house? Does he lick his lips when you break out the guac and chips? There are a few reasons - in the form of ingredients - that your pet shouldn't indulge in this delicious treat. Onions and avocados. We covered the toxicity of onions and related edibles a few weeks ago, and you can read about it here. Interestingly enough, the issue of avocado toxicity isn't so cut-and-dried. 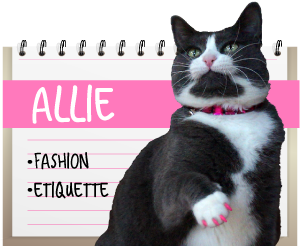 You see, there are actually some pet foods that use avocado in their ingredients. Avocados are incredibly rich in all sorts of good things, like essential fatty acids, niacin, potassium, and vitamins A, B, C, D, E and B6. Sounds fabulous, doesn't it? No wonder a pet food manufacturer would want to use it! There's just a teesny problem. There's a fatty acid derivative in the avocado, as well, called persin. Persin is found in every part of the avocado plant - in its leaves, bark, the monster seed in the middle, and even the fruit. The good news is that there's very little persin in the actual fruit, compared to concentrations found in leaves, bark and the pit. The bad news is what persin can do to an animal if enough is ingested. For dogs and cats, it's more of a mild nuisance than a deadly toxin. If enough avocado is ingested, it'll cause diarrhea, possibly vomiting. And cats are more sensitive to persin than dogs are. For other pets such as birds, horses and rodents, it's another matter. For birds in particular, like parakeets or cockatiels, persin can cause respiratory distress, fluid around the heart and, if enough is ingested, eventually death. In sufficient quantity, it can cause colic in horses and, without veterinary intervention, death. Yet both avocado oil and meal are found in both dog and cat food. Specifically, in the brand Avoderm. 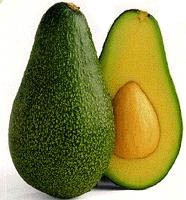 In fact, the company derives its name from the avocado. How can this be good for dogs and cats? It turns out that most avocado toxicity can be traced to a specific strain of avocado - the Guatemalan variety. The type of avocado used by Avodern, the company states on its website, is not Guatemalan. Nor does it use the bark, leaves or pits in its formulation. The fruit pulp is screened before use, and the company requested a toxicology review from the Environmental Toxicology Department at UC Davis to determine its safety. The report concluded that the avocado used in Avoderm pet food is not toxic and the company feels its inclusion in their pet food formula is especially beneficial to animals who suffer from skin and coat problems. Ultimately, the decision is yours as a responsible pet owner. But ASPCA veterinary outreach director Dr. Tina Wismer admitted that there were no reliable reports of poisoning in dogs, cats or ferrets. The biggest danger by far for such animals is the choking hazard presented by the avocado pit. One last thought to leave you with: as with humans, it's always wise to use everything in moderation. A lick of guac now and again for your dog or cat probably won't cause tummy upset. And it's just common sense to throw the pit away. Though it might be fun to bat it around, it's not a toy. 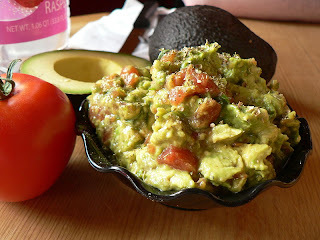 I get a tiny bit of avocado now and then and I haven´t had upset tummy or vommited. My cats don't eat any human food but it's good to know this just in case!!! Phew that is me OK as I don't eat green things. Have a lovely Monday. I did feed that Avoderm for a little while. Glad I didn't know all this and I sure won't do it again. There can't be enough avocado in the food to really do their skin any good. Anyway, thanks so much for this good info. We didn't know this. Our mom wouldn't share any avocado with us anyway, she likes it too much--and in any case, we don't like human food either, and wouldn't eat it. But she'll keep this in mind if she's ever looking for a new cat food for us to try! That could be another reason why we never get any human food, besides chicken breast! Good info! I always learn something new here... that's pretty scary, actually. My human NEVER lets me have avocado or guacamole - but that is because she wants it all for herself! It is her favorite food. MOL! Our mom's not much of a fan, so we never get the opportunity to do things like eat stuff like that! then there is the fact that cats lack several digestive enzymes that allow humans to access the nutrients in the foods. So saying an avocado has good things good things, like essential fatty acids, niacin, potassium, and vitamins A, B, C, D, E and B6 does not necessarily mean the cat can actually utilize those nutrients. Very good point! We're just beginning to understand the differences - and we know we're just scratching the surface with our bare bit of knowledge on kitty nutrition. Very interesting!! So much to learn!!! Like Sparkle's person, my Mommeh loves avocados! We always learn lots of good stuff from you. Geez, my human loves chocolate and avocado. This is hopeless! I wish she would have more salmon and shrimps!! She does give me some of her chicken from time to time though. Thanks for let me know this news!! Since no one in this house will touch those nasty things, we are safe either way! Wes not had any Alvarado. It's a import and is expensive. ...and even MORE reason to say, "Mitts off my guacamole!" Have seen but not tried AvoDerm. Katie's smorgasbord is already full. My Mom and Dad like avocados but me? I'm the pickiest eater in the universe and NO WAY JOSE' would I touch one of those green thingies! This is super interesting information though...thanks for sharing it! 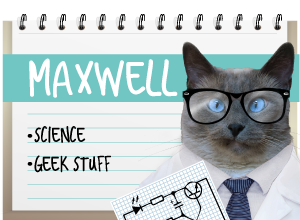 Hi Maxwell, Faraday and Allie! Thank you for this really interesting and informative article! We tried Avoderm with Moosey for awhile. He liked it at first, but he is a picky eater, and eventually decided it wasn't to his liking. The mom and the dad say that is fine with them, because it means more guacamole for them. MOL. Hugs and headbonks to you all!